The mud pit is one of the closing activities of camp. 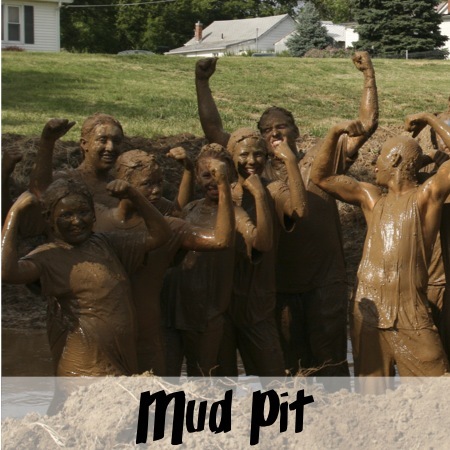 It’s really just a simple as it sounds – a pit full of mud – what kid (or kid at heart) wouldn’t love that! The only downside is the clean-up afterwards. Make sure you bring clothes that can become dirty!